Step aside Justin Bieber, because there is a new King in Youtube town. Famous South Korean rapper Psy's all time favorite Gangnam Style recently snatched the Most-Watched YouTube Video of All Time from young crooner Justin Bieber's Baby. The ever-infectious dance moves and beat of the song pulled off a whooping 815,197,646 views since it was first released last July 15, 2012. For more than four months it has already overtaken the fame and popularity of Justin Bieber's Baby, which enjoys a total of 804,604,070 views as of the moment. Bieber's song was first posted on YouTube last February 19, 2010, which shows more than two years of head start. 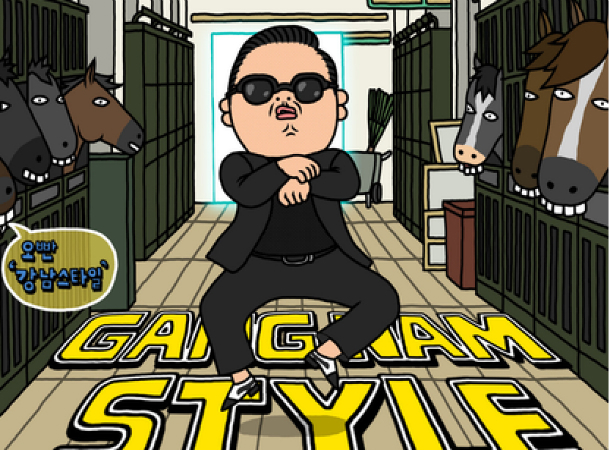 It only took a couple of months for Gangnam Style to achieve this feat compared with the former's more than two years. What's more interesting about this Gangnam Style's feat is the fact that it gained lesser number of dislikes than the original title holder. To announce this achievement, Psy posted the following on twitter: "‪#GangnamStyle just became the most watched video ‪@YouTube!! ‪#History." I am not really sure what JB's fans will do to recover their idol's crown, but for now I am a little satisfied that Gangnam Style made another record breaking achievement. I'm proud to say that I'm probably the only one left in this entire world that didn't watch this ****ery of a video. No hating, but I just hate the song. I love your posts so much! Thank you for sharing all this profound wisdom, it helps me get back to me..